- Use to print & mail or copy/paste/e-mail list along with name, phone, e-mail, address, ship week & bonus/sub list (we help calculate correct total with discounts and shipping). 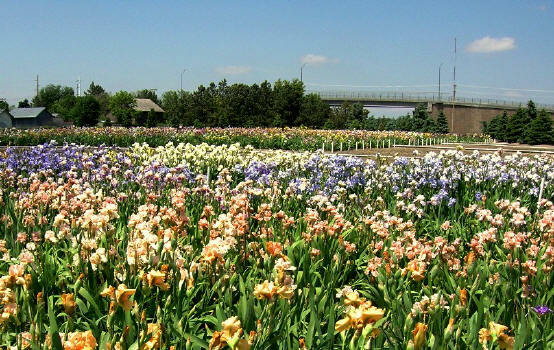 We invite everyone to visit our family IRIS gardens during bloom season, which is usually at peak bloom during April in our weather zone, 8a. Our family grows and digs our own rhizomes, and we love to offer our customers healthy rhizomes at low prices (see above for our 10% free bonus iris offer starting at $50, and 10%, 20%, and 30% discounts!). 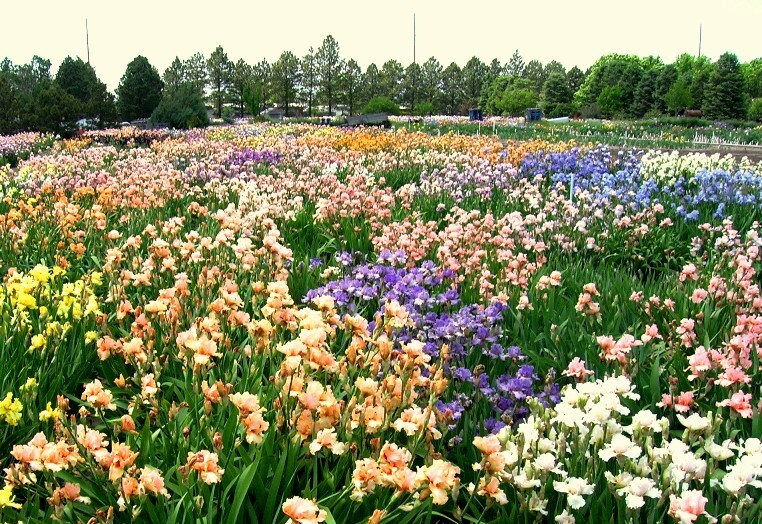 We also GUARANTEE our iris to be true to name (see below). 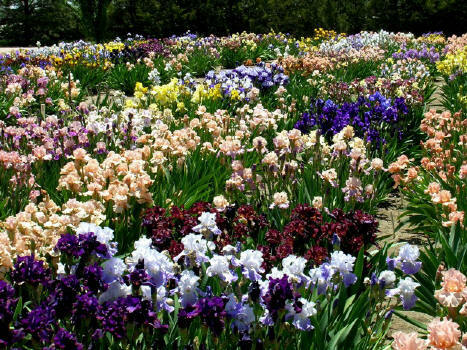 We raise mostly TB (Tall-bearded) iris, but also have AB (Aril-bred), BB (Border Bearded), & IB (Intermediate Bearded) iris (and a few SDBs: Standard Dwarf Bearded iris). 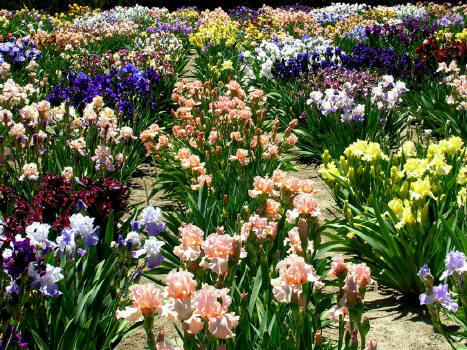 We especially love iris that are luminatas, broken colors, variegated foliage, caterpillar beards, flatties, and iris with large flounces (Space Agers). We've also had good luck with iris that re-bloom here. 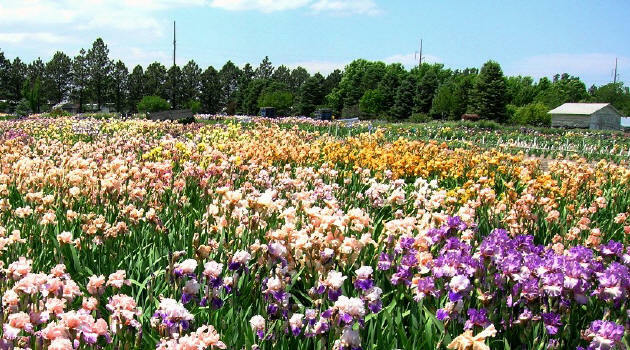 We grow over 4,000 named iris varieties. 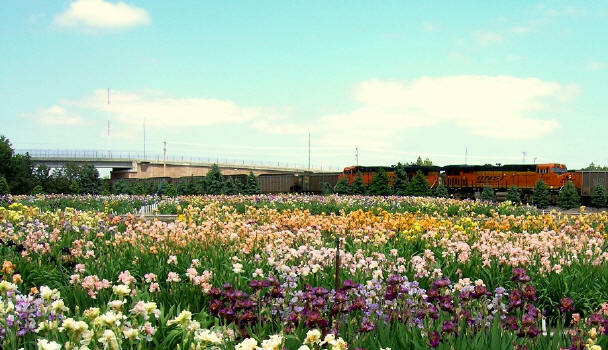 You can call ahead to check exact iris bloom dates, but no appointment is needed. Drive on in any day of the week, and bring your cameras! Vado is in between Las Cruces, NM and El Paso, TX. If coming in from I-10 from Las Cruces, take the I-10 Vado exit, go down Vado Rd past the Chevron and Dollar General until ending in a "T" at Hwy 478 (at Family Dollar). Turn left and go 1.7 mi south, turn left/east onto Franco Rd. (at the 7 mile marker) and go about 4 blocks, turn left again onto Palomino Rd. If coming from I-10 from El Paso, TX, follow I-10 W to exit 162 Ohara Rd/NM-404 (cross west across bridge), turn right immediately after the bridge to Stein Dr/W.Frontage Rd going north 3.3 mi., left/west onto Berino Rd for 1.5 mi (until right before railroad), right on NM-478 for 2 mi. until mile marker 7, right onto Franco Rd (4 blocks), left on Palomino Rd, and turn into gate for 2nd house on the right (next to basketball hoop). 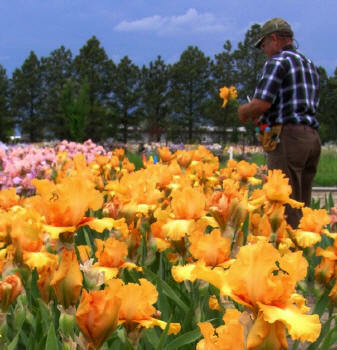 We guarantee our iris to be true to name. To accomplish this we promise to go to great lengths to PREVENT any errors being sent to you. 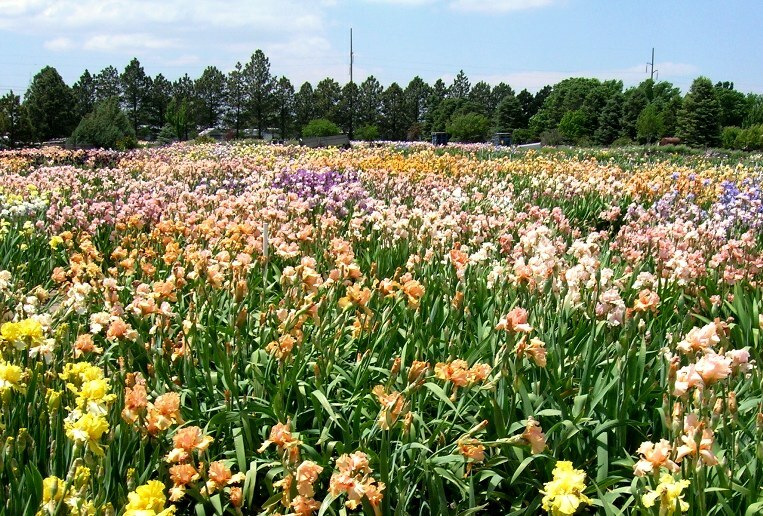 We are undergoing an extensive double-checking process where we are photographing all our blooms this year and comparing them to their descriptions. We have also developed a tracking system where we tag each rhizome as soon as it is dug. 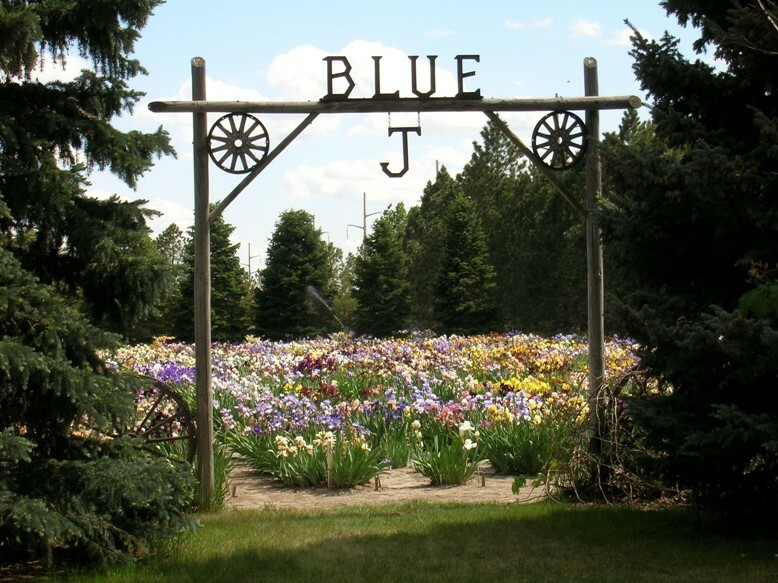 We strive for "Blue J True" quality assurance and customer satisfaction! International orders are not accepted, sorry.